Experiential astrology is a gentle and powerful technique which accesses your innate healing and transformative energies – as such it is a practice that has its own inbuilt healing and spiritual power. It allows you to directly feel and experience, rather than intellectualise, the energy of your individual astrological make up, by communicating directly with your own unconscious as symbolised by the planets and signs of the zodiac. 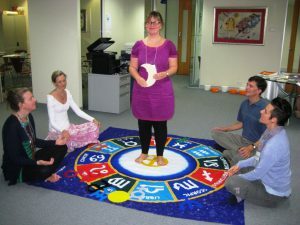 The zodiac is placed on the floor and the planets laid out according to your individual astrological chart. You are then facilitated to enter this sacred circle and embark on a symbolic journey, guided both by me as a practitioner and by your own interaction with the different planetary symbols. This process allows you to be in the driving seat and to identify what requires attention, re-connection, cleansing or healing. Experiential astrology is a powerful modality as it allows us to target specific issues, using astrological symbolism as a diagnostic tool in conjunction with healing techniques drawn from the practitioner’s experience in a wide range of therapeutic and spiritual systems. It differs from mainstream astrology because it is totally experiential, non-intellectually based and does not require any astrological understanding from you as the client. 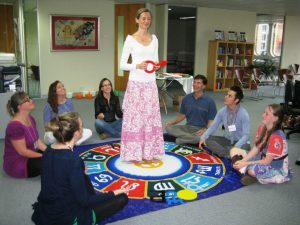 Any individual with an open receptive approach can benefit from an experiential astrology session. My role as practitioner is to listen to the clues provided by your reactions and responses, tune into appropriate healing techniques and to provide a safe space for you to go more deeply into your own process. It requires subtle and intuitive awareness, knowledge and experience in a wide range of therapeutic practices and the ability to trust in your natural and innate healing energies. As a qualified energy healer and teacher, I am a fully accredited member of the International Institute for Complementary Therapies (IICT). I am trained in a range of different modalities including Energetic Healing, Holistic Counselling & Crystal Dreaming and have Diplomas in Remedial Massage, Aromatherapy and Transpersonal Coaching. I combine my astrological knowledge, qualifications and experience with energy healing modalities to create a unique, powerful and effective experiential experience for my clients.